By blending relaxed modern design and the very latest in projection and audio technology with the age-old values of exceptional customer service and attention to detail, Ilkley Cinema has created a truly unique viewing experience. Enjoy drinks on the balcony overlooking beautiful views of the Moor. 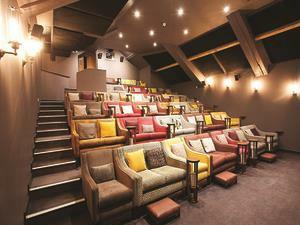 llkley Cinema, where the cinema experience is about so much more than just the film. Every aspect of our fully air-conditioned auditorium, from the luxurious, roomy sofa seating to the eye-catching design, induces an irresistible atmosphere of comfort and relaxation usually only found in one’s own living room.